We have reviewed, rated and compared York air conditioners so you can buy with confidence. These AC’s are not for suitable for everyone so check to see if they fit your needs! Consumers often opt for big brands when purchasing electrical systems such as air conditioning. The thought process followed is the mirroring of the brand’s popularity and success with their product’s guaranteed functioning and efficiency. While this statement stood true previously, today, it is not always the case and smaller HVAC manufacturers are catching up to the efficiency and reliability offered by well-known brands. More and more manufacturers have entered the HVAC market, and consumers benefit as the law of demand and supply kicks in. As the supply of HVAC systems increases, consumers have a variety of options to choose from, while suppliers compete for every possible customer by improving their offerings and adding value to their services. This competition has also resulted in the decrease in costs of HVAC units. With a 4.5% market share, York Air Conditioners have been around for a while – but are not that well-known. Their lack of popularity has been attributed time and again to the poor installation of their systems by contractors – resulting in York air conditioner systems breaking down and their lowered durability. However, we’re going to take a detailed look into the technicalities of York’s air conditioning systems to see if it is the best fit for you or not. York’s central air conditioners are divided into two different series; the Affinity and LX series. Among these two series, York has 10 versatile units, each available in varying tonnages to fulfill every need. However, their units are relatively costlier and have lower efficiency ratings. This, combined with the fact that these units are widely sold to wholesalers, whose staff is not equipped or trained for all kinds of installations, has resulted in York being reviewed poorly online. York’s systems are costlier due to the units’ robust and extremely durable external manufacturing – if and when installed correctly. York’s units are best if you are willing to invest in a quality HVAC installer, and not take on the job yourself. York has a relatively lower initial purchase cost when compared to its competitors – but there are many that offer an even lower price. This is another reason why York isn’t among the bigger, more well-known HVAC manufacturers. York air conditioners have an average SEER (Seasonal Energy Efficiency Ratio) of 15.19, which is relatively low considering the price range. York’s Affinity series can be regarded as somewhat expensive when compared to its competition with the same SEER. It offers users a reduced noise level and a reliable body that doesn’t break down if installed properly. The lowest SEER, 13, among York’s air conditioners is that of the York YCD and YFD (LX Series) and Affinity TCHD, while the top-tier model, Affinity CZH, offers an 18 SEER to its users. However, there are several 21 SEER models as well that York offers in split room systems rather than central air conditioners. Again, comparing both of these models with those available in the market with the same SEER, York remains slightly more expensive. 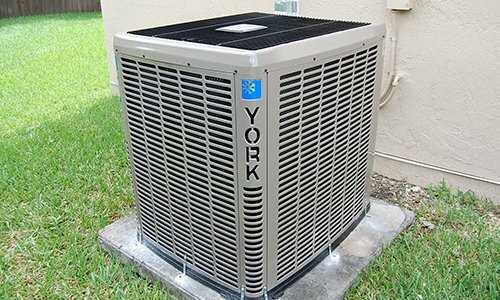 While the company claims that this high cost is due to the enhanced durability of its units, poor installation techniques and subsequent malfunctions in the air conditioner’s functioning have led people to regret investing in York air conditioners. Below is a table comparing the two series of York’s air conditioners – in terms of the initial installation, and average running costs of each unit. York AC units’ bodies are made to be robust and durable, something that is hard to miss if you look closely at their units. There are a number of guardrails that protect the coil and compressor from debris, insulated bodies to reduce sound as much as possible and a powder finish to withstand weather changes. If installed properly, these units can last a long time. Additionally, York’s protective measures aren’t just for their top tier models, but for all – something that is extremely lacking in competitor HVAC units. The main problem with York’s AC units, as mentioned above, again and again, is that of poor installation and in turn, a discrepancy in the durability. Other complaints revolve around the cost of their units, however these are not as common. A fair point to be noted in the customer reviews section is that people who hired suitable labor when getting their York air conditioner installed haven’t found any problems with their unit even after the warranty period has expired. Finding expert contractors to help you install your HVAC units is not an easy task as everyone claims they know what they are doing. However, at modernize.com, all contractors are verified and listed in accordance with customer ratings. The customers leave detailed feedback about their experience with the contractor, allowing you to quickly and easily look for a quality HVAC installer compatible with your requirements, near you. Get started with Modernize by answering the questions in this form. York air conditioners’ names are short, yet signify different features of each. Here, we will explain what each model’s nomenclature represents. H and F signify the SEER. H is 18 SEER and F is 16. D and E stand for the SEER rating. York AC clocks in at average when it comes to being energy efficiency as compared to its competitors. Its low-end units are all 13 SEER, making them ineligible for installation in some states. However, York also has several units of 21 SEER, more than that of many of its competitors (21 SEER units are only available in the form of split room air conditioners). Other HVAC-manufacturing brands such as LG, Lennox, and Mitsubishi, offer more efficient air conditioners as well, in terms of central and, room air conditioners. The Seasonal Energy Efficiency Ratio or SEER measures an HVAC unit’s efficiency level against the energy it uses. It is the measure of a unit’s cooling output against the energy consumed in Watt/hours. If you take into account the efficiency during heating season as well, it becomes the Energy Efficiency Ratio, or simply EER. York Air Conditioners offers users the chance to choose between both, two- and single-stage compressors. York Air Conditioners’ single stage compressors focus on cooling the room down quickly, however, they do so at the expense of a relatively high level of energy consumption. Some York AC units also have two-stage compressors that allow them to make adjustments to the working of a compressor in relation to the temperature of the room. Though slow at cooling when compared to the single stage compressor, the two-stage compressor operates at full speed when cooling and slows down automatically in order to maintain the room’s temperature and the fan’s inertia. This results in low energy usage and steady temperature levels. Yorks’ AC units feature both, double and single-speed condenser fans, respective of the type of compressor installed. The fan is responsible for taking the hot air in and blowing it past the cold coils containing the refrigerant, and for cooling down the condenser during the process. York air conditioners can also act as heaters during winter because of their compressor’s ability to act as a heat pump. To cool down the refrigerant gas, compressors apply positive pressure to turn the gas into a cold liquid. In order to heat it up, negative pressure is applied, actively heating the coil and in turn, the air that passes through. York air conditioners lack in terms of a unit’s noise level since they aren’t as quiet as other models available in the market. Although the body is insulated for noise and is powder-coated, the lack of rubber insulation around the compressor means that the sound vibrations find their way out of the chassis and create the inconvenience. The premium Affinity unit, the York CZH, is relatively quieter, running at 58 decibels during normal operation and 50 decibels under optimum conditions. However, it still ranks lower when compared to competitors. York AC units are mediocre in terms of warranty as well, compared to other HVAC manufacturers, such as Goodman, Lennox, Trane, and a few others. Where they offer their users long warranty periods ranging from 10 years to a lifetime, for parts and compressors, York air conditioners don’t provide the same prolonged warranties and offer only 10 years of limited warranty on its parts and compressor. The purchase must be registered online within 90 days after installation. Otherwise the parts warranty is reverted back to only 5 years! People often forget to do that, thus losing out on warranty periods. Unfortunately, York AC offers no labor when it comes to claiming warranty, thus you have to hire help out of your own pocket. You can find trustworthy and cost-effective labour with the help of modernize.com. Several York air conditioners are eligible for tax rebates upon purchase. All units with a 16 SEER or above, i.e., York YCJF, YCG, CZF, and CZH are all eligible for a tax rebate of 10% on their installation, rounding up to USD 300. This provides a relief for consumers the next time they file their return in terms of cost.. The pros and cons of York air conditioners are worth mentioning since, despite its relatively higher cost and complaining customers, people tend towards the company, giving it 4.5% of the market share. Following are some pros and cons of York air conditioners. The customer service itself is commended. Trained and respectable staff are almost always on time and are helpful. Generic parts don’t work. Customers often complain about Lennox repairs. Generic parts don’t work. Customers often complain about broken down units due to improper installation procedures. Lennox users sometimes have complaints about repair work, but only when the unit breaks down, which is not that often. York is one of the oldest HVAC manufacturing companies out there, founded in 1874. It started in York, Pennsylvania, USA, and was acquired by Johnson Controls in August 2005. At the time of acquisition, it was the biggest manufacturer and supplier of HVAC units, especially for air conditioners and refrigerators. These days, when people are looking to buy an air conditioner, they first conduct extensive online research to ensure that what they are getting is up to their standards. Customer reviews play a major role in making up the minds of potential prospects. Here are some reviews by people who purchased York AC units. I install mostly York equipment. I can honestly say that they make a quality product. As long as it is installed properly, you should be fine. – BRS, Reddit. I installed York equipment for 3 years. In my opinion, it is overpriced. It is a quality product, but I don’t feel you get the same bang for your buck like other products.. – D, Reddit. If you pay a little more for someone who will properly insulate and seal your ducts, you’ll be much happier. Your energy bills won’t be amazingly lower, but your home will be more comfortable. Retsejme, Reddit. My central air system is a York and is 24 years old. It had only two services. Now I have a service contract, and I pay $330 a year, which includes an annual check-up. – Oliver Kwok, Consumer Report. This shows us that customers are often dissatisfied with York’s reliability because of poor installation. Good labor is important, no matter which brand your AC is. Apart from being expensive compared to its competitors, York’s major downfall has been its poor distribution and installation chain. However, most people enjoy the good quality build that York claims its units has. When comparing HVAC efficiency and price ranges between different manufacturers, York falls behind as it is expensive and it doesn’t offer SEER units as high as its competitors. Its top tier unit, the Affinity CZH is somewhat silent and relatively efficient, but it might not be enough for most people, especially for those who can afford to pay more or are looking for units with a higher SEER. While agreeably, its warranties are not as good as most of its competitors, it is much better than most brands in the market. Apart from all that, competitors usually fall behind in terms of durability and a robust build on the unit’s part. If the unit is installed correctly, there really is no match for York air conditioners. 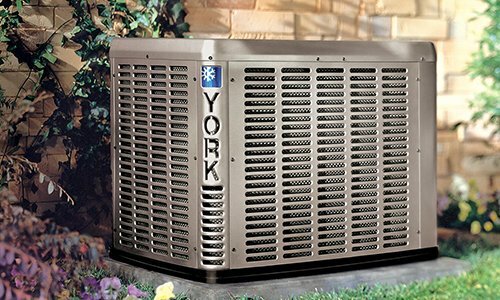 If you are considering purchasing a York air conditioner, you should make sure it is installed correctly by an experienced professional. You can find such an installer near you with the help of modernize.com. So why not use the Modernize form below and get the best possible help for upgrading or installing your new York air conditioner!